Busy scene of Covinans meeting a 3-car eastbound P.E. train on Badillo. 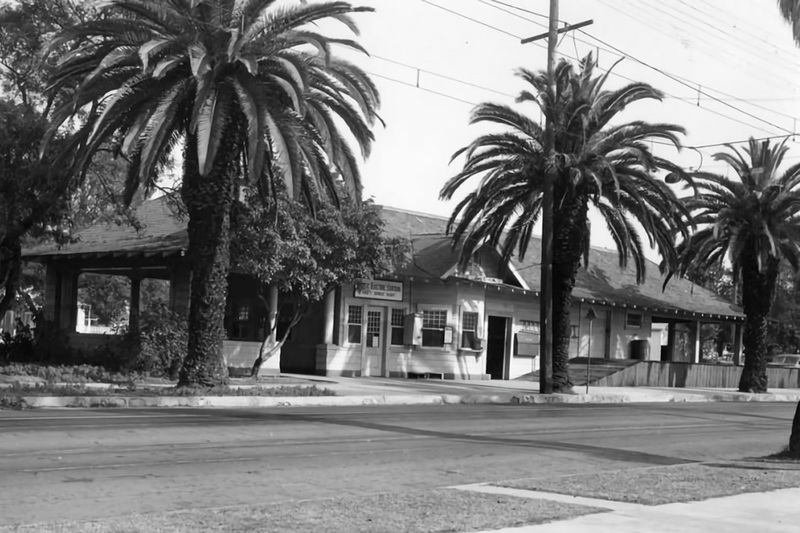 Covina station is at right. 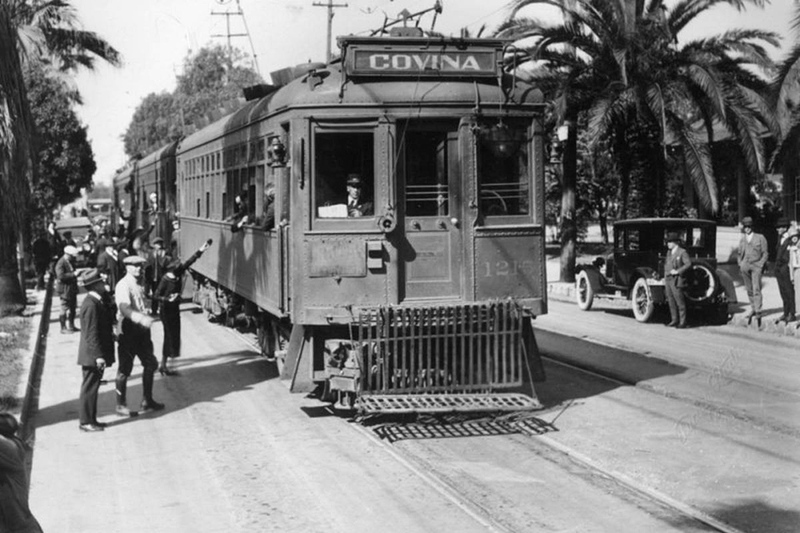 Even after scheduled service was discontinued, Pacific Electric still ran trolleys to and from Covina for special events like the Los Angeles County Fair and the Rose Parade. 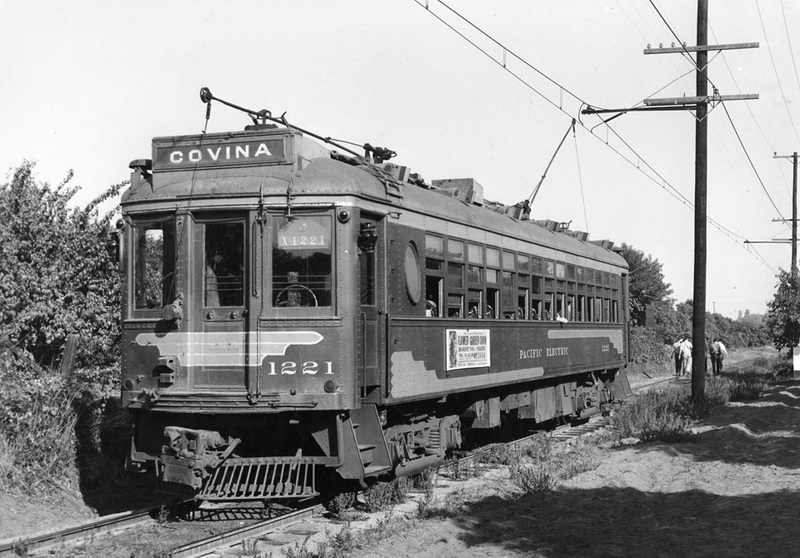 This photo circa 1948 shows one of the last fan runs from Lone Hill Junction in San Dimas as it passed through Charter Oak en route to Covina. 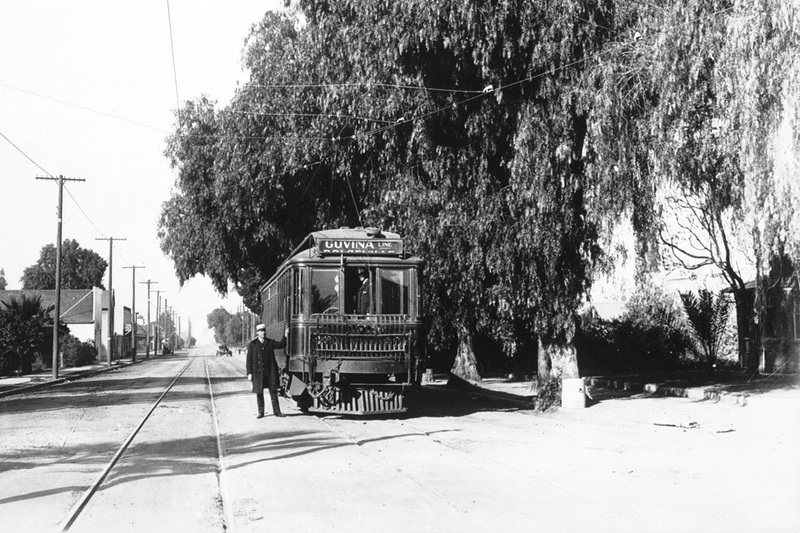 Courtesy Pacific Electric Historical Society, Ralph Cantos Collection. 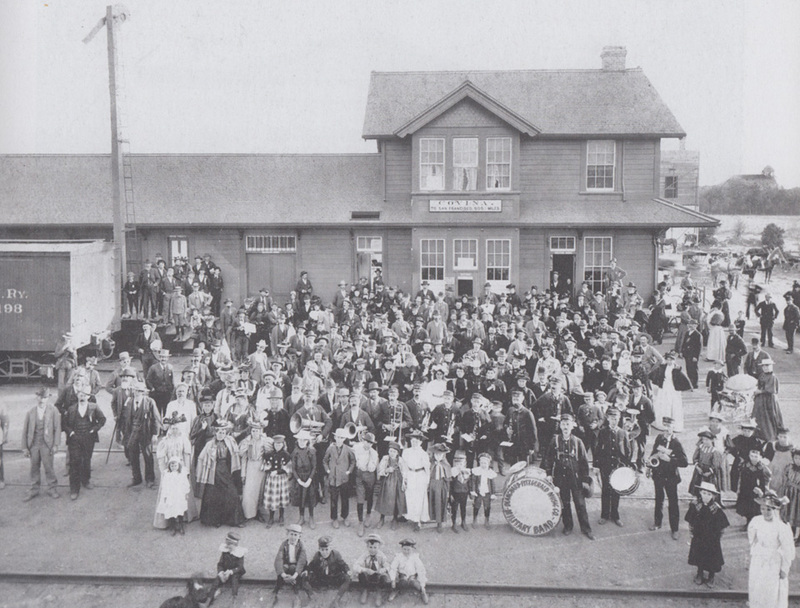 The Covina Southern Pacific depot, 1897. 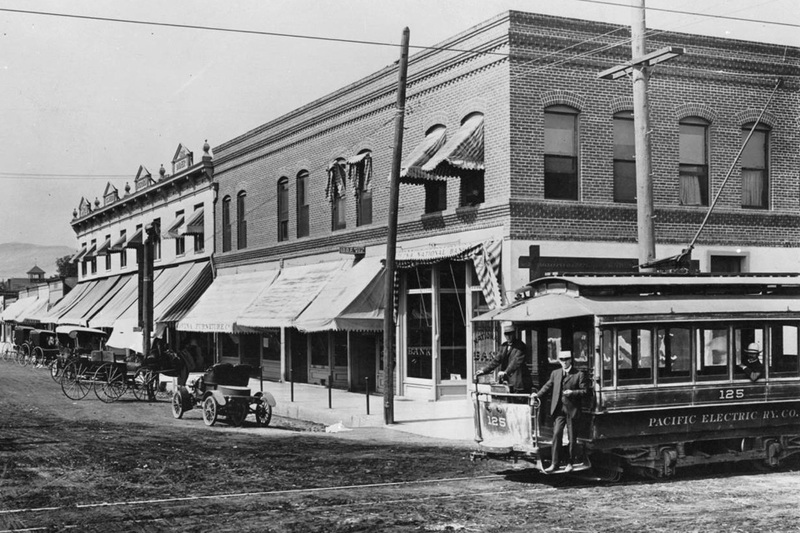 It was located at the top of Second Avenue just north of Front Street, on the opposite side of the tracks from today's Metrolink station. Source: Images of America: Covina," by Barbara Ann Hall, Ph.D. The Red Car is alive and well still carrying passengers today....in South America where most of the cars were sold.